Sherlock Holmes, one of the great literary minds of all time, is 93-years-old in this novel, and starting to lose his powers of deduction. He recounts a trip made to Japan shortly after WW II, and is trying to teach the maid's young son the art of beekeeping. There are still important mysteries to be solved though, and Holmes struggles with his frailty and declining mental health to find the answers. A poignant tale featuring one literature's best loved characters. The basis for the Major Motion Picture Mr. Holmes starring Ian McKellen and Laura Linney and directed by Bill Condon. 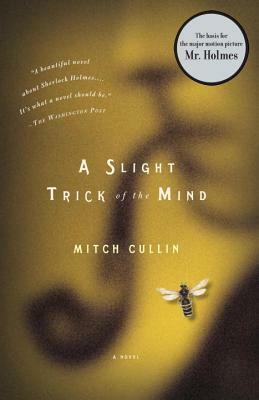 MITCH CULLIN is the author of ten books, including A Slight Trick of the Mind, Tideland, and Branches, a novel-in-verse. His fiction has been translated into over 20 languages. He currently lives near Los Angeles, where he is working as a photographer while also collaborating on various projects with Peter I. Chang. He can be found on Facebook at www.facebook.com/mitchthecullin.